in the Diamante Valley of Costa Rica. 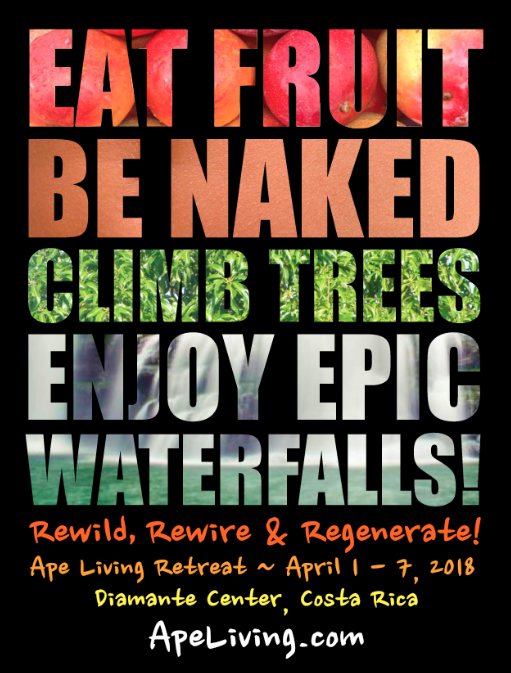 ​tropical food forest with spectacular waterfalls! "We are literally kin to other organisms. The chimpanzee and bonobo constitute the extreme case. We descended from something that was more like a modern ape than a modern human being, at least in brain and behavior, and not very long ago by the yardstick of evolutionary time. Furthermore, the greater distances by which we stand apart from the gorilla, the orangutan, and the remaining species of apes and monkeys (and beyond them to other kinds of animals) are only a matter of degree. This does not diminish humanity; it raises the status of nonhuman creatures." "We're just part of the animal kingdom. We're not the only beings with personalities and minds capable of reasoning, and certainly not the only beings with emotions like happiness, sadness, fear, despair. Nor are we the only beings capable of giving and receiving love."